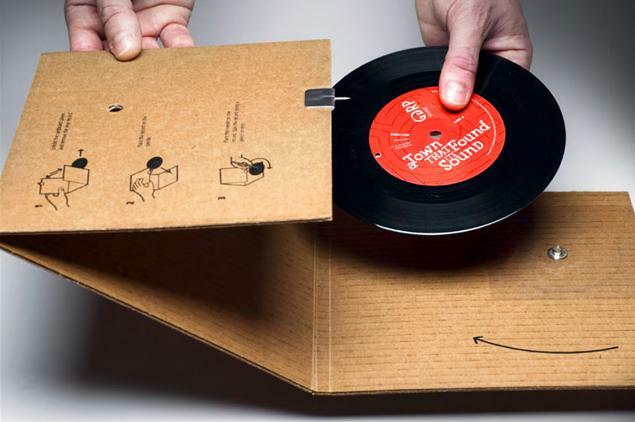 A record player created from a piece of corrugated cardboard that folds into an evelope. Once assembled, a record can be spun on the player with a pencil. 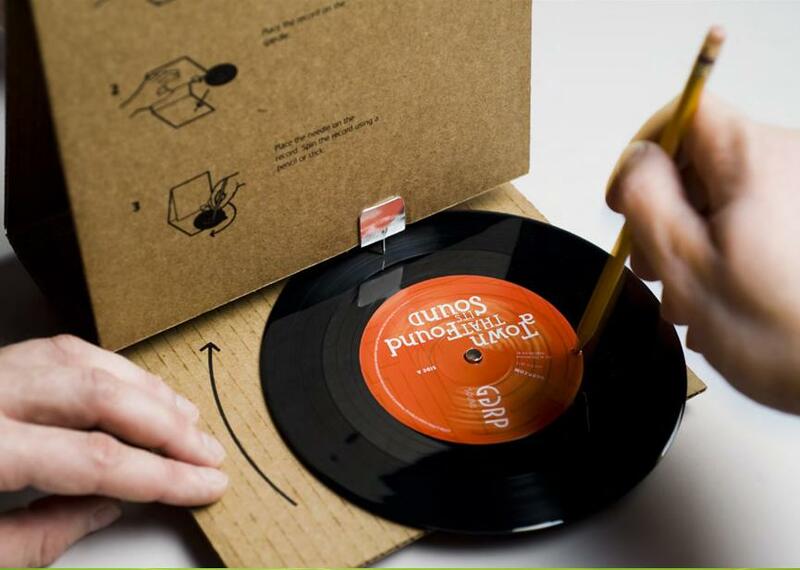 The vibrations go through the needle and are amplified in the cardboard material. 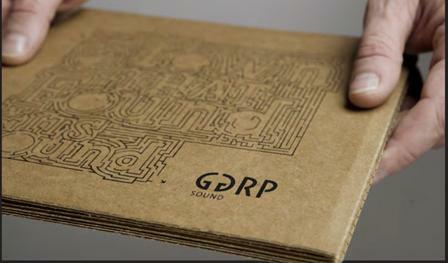 The players were sent out creative directors across North America as a creative demonstration of GGRP's sound engineering capabilities.